A fid is a conical tool traditionally made of wood or bone, used for splicing rope. 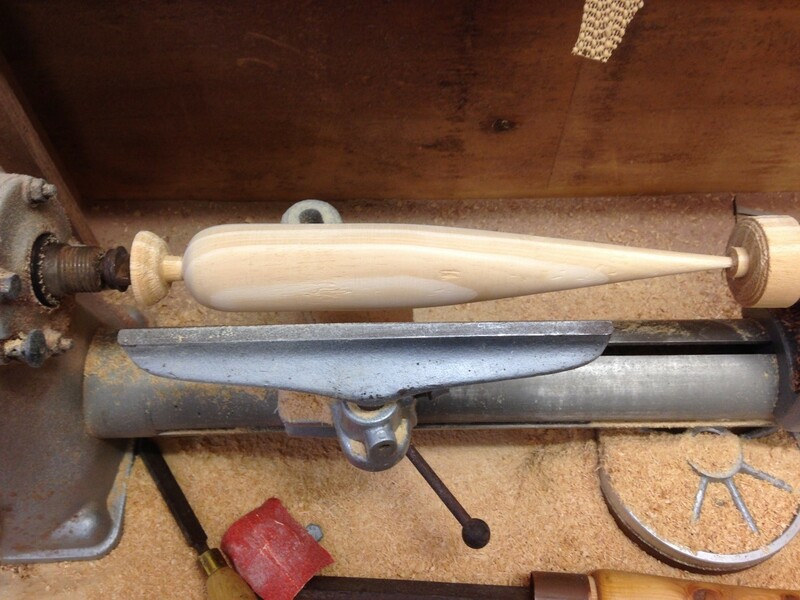 “It can’t be that hard to make them on a timber lathe. Who has a lathe? High Schools have lathes”. It just so happens that I knew the senior woodwork teacher, Adam Cupitt, at Kiama High School. Quick call to discuss, and he said he had just the person. Hamish Tanner was one of his top year 11 students and was happy to have a go. 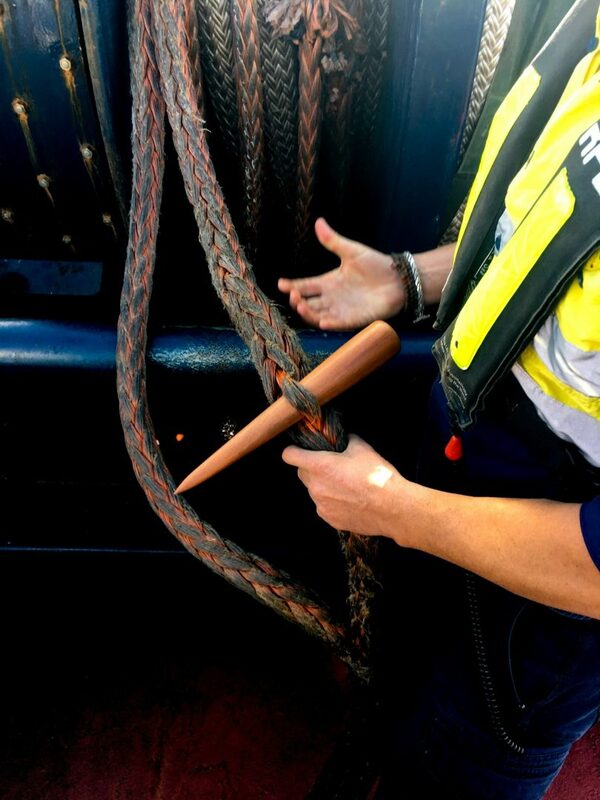 In exchange for some new fids, we would invite Hamish to site and show him how the fid is used and let him experience a tug job to see it in action. We met in the woodwork rooms at Kiama High and discussed the plan. The teacher even found a 100-year-old piece of turpentine hardwood recovered from a demolished federation house in the store. Perfect. A few prototype and design check photos back and forth as the fids took shape until we landed at the right shape and size. Hamish completed his end of the bargain. 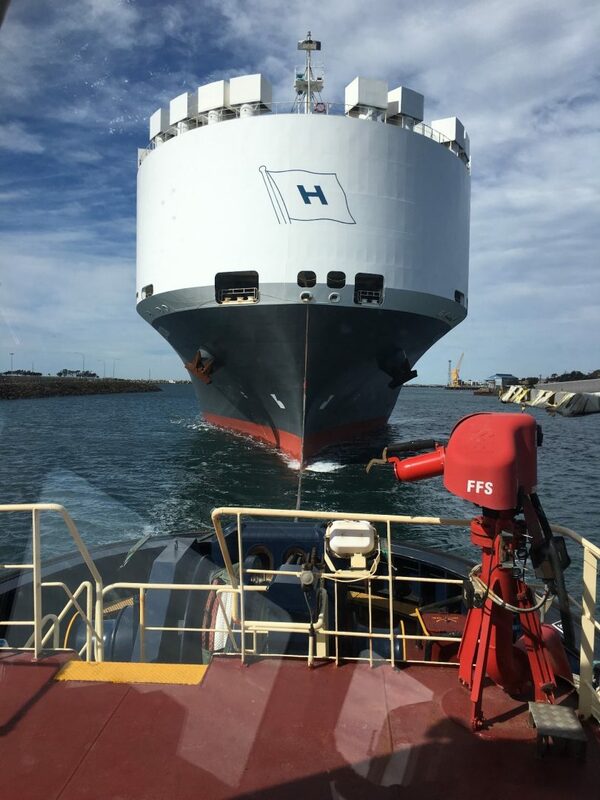 On 8 August 2018, it was Svitzer’s turn to come good on the deal. 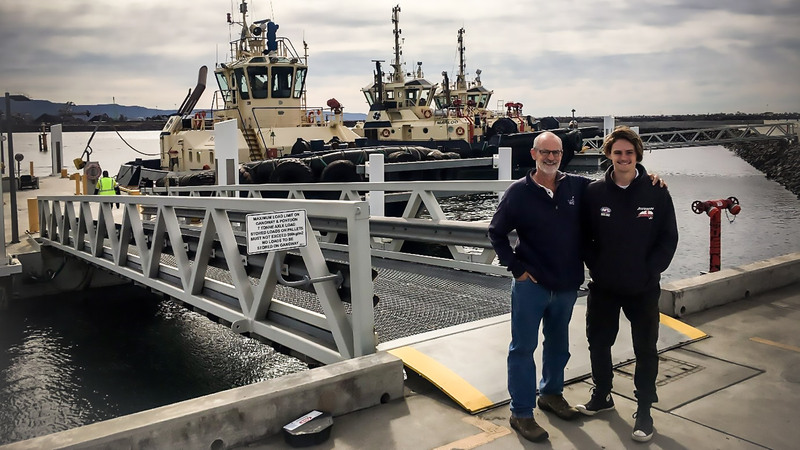 The crew onboard of Svitzer Kiama, John Duncan (Master), Alex Kirkland (Chief Engineer) and Damien McCrae (GPH) gave Hamish and his father Steve the full tugboat experience. 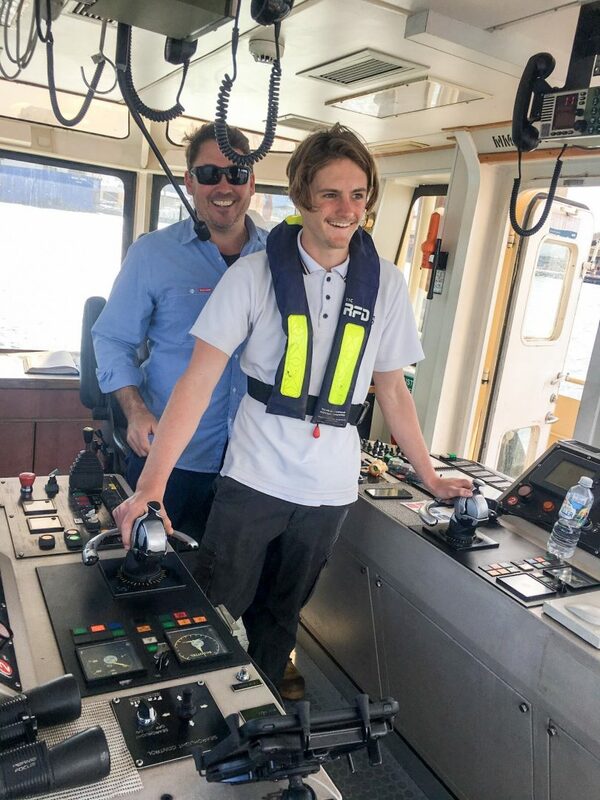 After being inducted, Hamish got to help start the tug, watch the crew bring in a car ship, experience the driver’s seat and see the end use for his handy work. Both Hamish and Steve were blown away by the size of the ship and the skill of our crew to smoothly manage the task without incident. Thanks to all the crew as well as Hamish and Adam who helped make this happen.